Cologne is the most beautiful city in the world. At least that’s what the people of Cologne say. And they have to know, after all, they live here. What makes the people of Cologne so happy? Cologne’s very own philosophy: Kölsch. Kölsch is a beer, a dialect, an attitude to life (“Jeföhl!”) and much more! Kölsch is spoken and sung, cheered and drunk, lived and celebrated. Beware of the danger of addiction! Cologne is the crystal meth among cities. It may be that you never want to leave again. The Köln Show will show you Cologne is at its very best. It will explain why no city in the world is celebrated more in song. And why the ancient Romans liked to live here. And where you can find the best pubs. And which tourist traps you should beware of and how you can become part of The Klüngel. 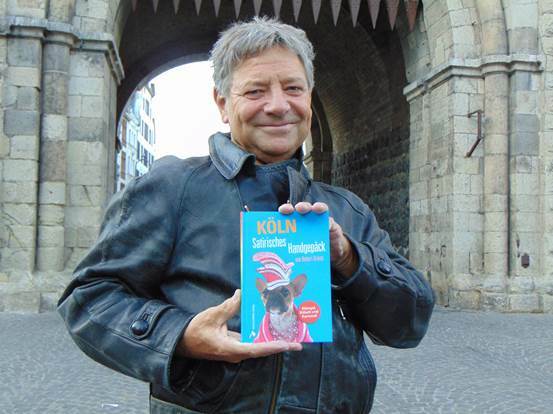 The Köln Show takes you on a Tour de Cologne through the three big K’s of this city: Klüngel, Kölsch and Karneval. You can experience the Cologne “Jeföhl” for one show. 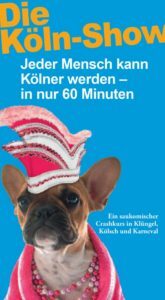 From the stand-up monologue to carnival songs sung together, everything in this furious solo performance will turn you into a real Colognian – all in just 60 minutes.